No whisky drinkers should be surprised by the ever-growing popularity of Japanese whisky. Bartenders have been raving about it for years and it’s stocked at the most exclusive night jars, but it’s still a whisky for the purists: made, distilled, and mashed in the tradition of Scottish whisky for the best part of a century. That’s because Japanese chemist Masataka Taketsuru studied whisky production in Scotland in 1918 and took his Scots-learnt skills back to drinks company Suntory to set up their Yamazaki distillery. He later founded Japan’s other big-name whisky producer, Nikka. While homegrown whisky was popular in Japan during the latter part of the 20th century – the highball, whisky and soda, was introduced to younger and female drinkers in Japan and has been popular ever since – it was only exported in the early 2000s. It soon won awards and grew in popularity around the world. And its boom in popularity caught traditional distilleries by surprise. Yamazaki – the signature whisky from Suntory aged 18 years or over – is now virtually unfindable. Suntory’s Hakushu 12-year-old – the whisky drank by and made globally famous by Bill Murray in Lost in Translation – has ceased sales altogether. Nikka was forced to stop selling aged whiskies because they were running out of the stuff and would have gone bankrupt. Instead, the company put two non-age statement whiskies into the market. And whiskies from the now-defunct Karuizawa distillery can fetch over £25,000 per bottle on the secondary market. While the production process is the same as traditional Scottish whisky, Japanese whisky does have distinctive notes. “They use mizunara, which is Japanese oak,” Roskrow explains. “Every oak matures the whisky flavour a different way. 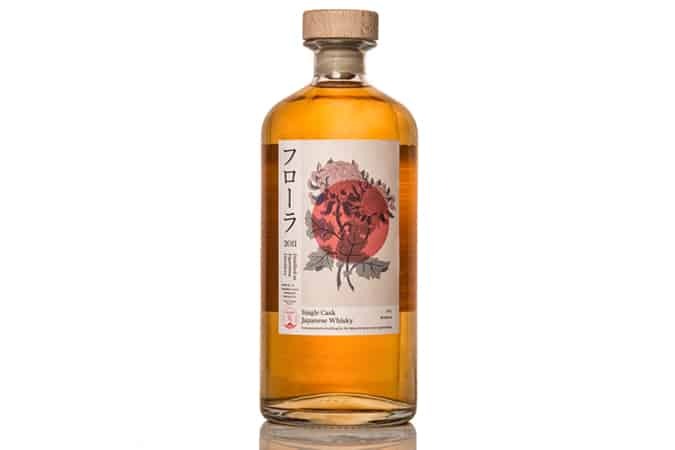 Mizunara adds an incense-like flavour to some of their whiskies. It’s quite a delicate thing, but it’s a distinctive note that sets it apart. “As we know from their cars, the Japanese are very good at taking things apart, finding out how they work, and putting them back together in a superior way. They were doing things very boldly. When they made peated whiskies they were heavily peated, when they used sherry casks, they were heavily sherried. The styles are very bold. “There are other variations,” says author Brian Ashcraft. “Nikka was the first to run malt through a coffey still and is now the only distillery in the world that fires its pot stills by coal, which gives the Yoichi single malts a unique character. But just by the fact that Japanese people are making whisky, the result will be different. Japanese distilleries are also amongst the most advanced in the world. While traditional scotch whisky producers have one signature bottle, Japanese distilleries are able to produce an incredible number of styles, which is born from one of the great Japanese whisky traditions: a fiercely guarded secrecy between rival companies Suntory and Nikka. “In Scotland there are 120 distilleries and they all swap their malts to use as a base for their blends,” says Roskrow. “In Japan that doesn’t happen because Suntory and Nikka would never work together, and there are lots of distilleries in Japan. Now with Japan about to host the Rugby World Cup later this year and the Olympics in 2020, they’re rumoured to be gearing production towards having plenty of top quality whisky available in time for those events. Here are some of the best bottles currently available to get your new whisky obsession started.